I am sure you have a good marriage, but even a good marriage can get into a rut. God wants your marriage to be above the average. Find out how your marriage can be better than good! Order your Downloadable MP3 teaching of "Ten Ways to Enhance Your Marriage" today! 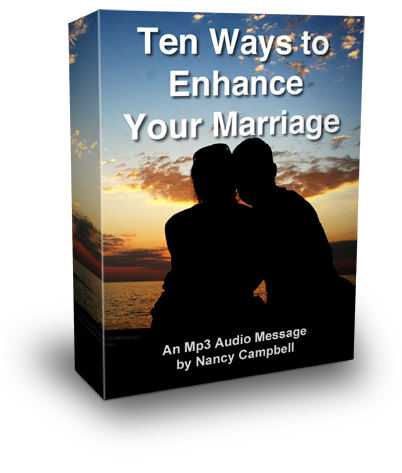 Click the button below to add the Ten Ways to Enhance Your Marriage - Downloadable MP3 to your wish list.